We’re always looking for new ways to make it easier for hungry customers to order their favorite meals with ease – whether it’s lunch during a busy day at work or a quick, tasty dinner for the whole family. Today, Uber Eats is excited to announce that we’re teaming up with Firehouse Subs, one of the most popular sandwich shops in the US, to deliver across nearly 500 stores in 31 cities in the US and Canada. Now, you can order signature specialty subs like the Hook & Ladder Sub, with Virginia honey ham, smoked turkey breast, and melted Monterey Jack. 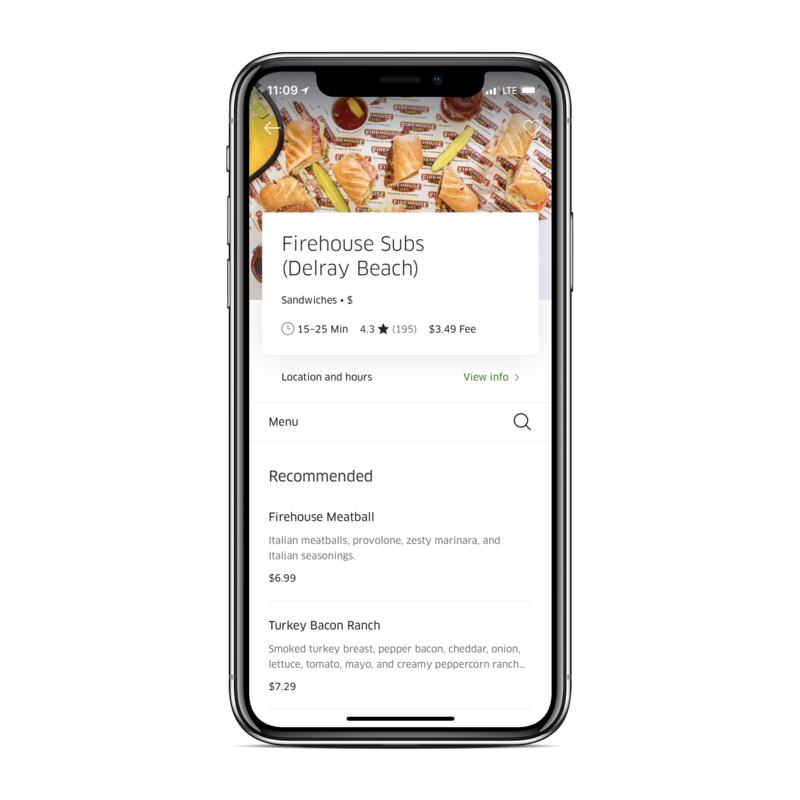 In fact, the Hook & Ladder is already the most popular Firehouse Sub on Uber Eats, so be sure to give it a try and see what all the buzz is about. Founded by brothers and former firefighters, Firehouse Subs is a built on decades of fire and police service. We’re thrilled to partner with a brand that serves up delicious food while maintaining a strong commitment to the community through the nonprofit work of Firehouse Subs Public Safety Foundation.